Technovanza is the Annual Techno-management Event organized by VJTI. The motto of Technovanza is to educate people about the principles of Engineering and thus spreading the knowledge of Engineering and Technology to the society at large. The event’s popularity has grown in leaps and bounds over the years and last year close to 20000 people from all over the country attended the event, leading to its grand success. This year our theme 'Plugged Into the World' is in accordance with the constant developments in the field of technology and being in touch with latest of the technologies. The three day event has various activities which are of interest to all type of visitors, young and old who visit or participate in the event. For students and youngsters who visit there are a lot of Competitions in which they can take part and win prizes. Parents and elders can visit the Exhibition and understand how various gadgets which they use in every-day life work. To the under-privileged students in schools the social initiative, PRATIGYA inspires them to become innovative engineers tomorrow. Reaching out to students, industry and the society in general, TECHNOVANZA 2014 promises to be bigger than ever! 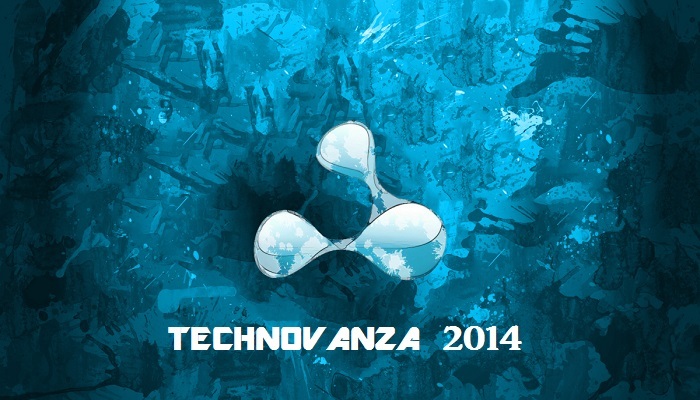 Technovanza-28th, 29th and 30th December 2014. •	WALL-E: Intelligent bots tested by a shrewd arena! The bots will have to tackle challenges thrown by the automated arena in the forms of line following, grid solving and wall following. The fastest bot with most efficient code will take home the title of – “WALL-E”. Cash Prize of 8,000 INR to be won. •	VRC: ISRO successfully placed the Mangalyaan in Mars' orbit; we give you the perfect space mission for a Robotics fanatic. Create your own Manual & Auto bots and compete on a demanding arena to place your Mangalyaan in its orbit! The arena is sure to test your technical as well as creative skills so suit up & get in! Get a chance to win cash prize of INR 40000! •	ROBOWARS: Like the sound of metal clashing against metal? If yes then the Technovanza Robowars arena is the place to be! Feel the heat of competition as strong & robust wireless bots confront in an all-guns-blazing showdown with the opponent! Cash prize of INR 80000 to be won! •	MONSTER ARENA: Think your bot can take on any obstacles thrown at it? We give you a gruelling track filled with a heady mix of obstacles to test your bot. Toughen up and drive your bot through this MonsterArena to emerge the top dog. We’ll be giving cash prizes of INR 15000! •	ROBOSOCCER: Interested in football? And want to make it tech-savvy? Make a manually controlled bot that can play football. Participate in this amazing event at Technovanza and Prizes worth INR 5000. •	TECHNOHUNT: Enter the world of exquisite programming where your analytical & logical skills will be put to test in a series of juxtaposed coding riddles and problems requiring concentration & coordination. Use knowledge of C, C++ or Java & crack the levels to emerge victorious in this Technohunt!Prizes worth INR 3000 to be won! •	ULTIMATE CODER: Ever wondered to experience the most challenging coding competition? Can you keep your cool under tense situations & focus on your code? If yes, then this is the event for you! Prizes worth INR 25000 to be won! •	CODE SWAP: Code Swap is a co-ordination based programming challenge where the players in a team will interchange their codes. Swapping allows the players to code in not only one but two programs in different languages which makes it all the more interesting and challenging. Prizes worth INR 3000 to be won! •	FAST & FURIOUS: Make the fastest and toughest IC Engine car & brace yourselves as you manoeuvre it around an all-terrain course with steep ramps and tight bends! Go fast, go furious and punch in the fastest times to blow away the competition! Cash prize of INR 45000 up for grabs! •	TECHNO CITY: Ever harbored dreams of building a city? Realize your dream through Technovanza’s newest event, wherein you’ve to put creativity and planning skills to use and create the perfect City! Prizes worth INR 5000 to be won! •	TPP: Here’s your chance to present yourself, explain the working of gadgets or provide innovative solutions to the current problems faced by the world. Grab this opportunity and present your views by submitting and drafting your thesis on white paper. Based on your fact-finding and experimentation you will be rewarded with cash prizes worth INR 12000! •	HSW: Look around yourself. You’re surrounded by a world full of new technologies and innovations. Surely you must have wondered how a particular technology you’ve taken for granted for oh so long actually works! Here’s your chance to get behind the mechanics of stuff and gain conceptual and working knowledge of the latest discoveries and inventions. Prizes worth INR 5000 to be won! •	X-CON: X-CON is a national level event to display your exhibits and projects ranging from electronics to robotics, mechanics, civil, physics experiments, etc. Make use of this platform provided by Technovanza to showcase your ideas to the world by redesigning technologies and devices. There are prizes worth INR 12000 to be won! •	JUNIOR X-CON: Young, unadulterated minds are often the most creative at coming up with simple, yet efficient solutions to complex problems. We, at Technovanza, invite these young, bright minds to showcase their ideas through working models accompanied by lucid explanations during these three days of our fest. Prizes worth INR 3000 are to be won! •	RCMO: Do you think you’re fast enough to solve any cube? Want a platform where you can compete in this aspect with like-minded people? Technovanza presents Rubik’s Cube Mumbai Open (RCMO), a WCA certified event and one of India’s largest cubing competitions, provides with one such opportunity.